Clay’s Evan Woods waits for a pitch to reach home plate. Woods had the lone extra base hit and scored what proved to be the game winning run in the bottom of the fourth inning. Clay’s Jaden Jessee waits for a pitch to come his way. Jessee had the game winning RBI that scored Evan Woods in the bottom of the fourth inning. CHILLICOTHE — Monday’s evening’s Division III, Chillicothe I District Semifinal bout between the Clay Panthers’ baseball program and the Trimble Tomcats’ baseball program may not have been the most relaxing time in Marc Cottle’s life. In fact, it was far from it. But at the end of the day, Evan Woods’ double and subsequent run in the third inning off of a Jaden Jessee groundout was all that was needed, and that was due to a pitching and defensive effort that failed to relent. Dakota Dodds’ complete game three-hitter and clutch pitching, along with only one error from the Clay defense, allowed the Panthers to ultimately push through, claim a 1-0 victory in a thrilling seven-inning, go-or-go-home battle between Clay and Trimble at VA Memorial Stadium, and advance to its first Division IV District Final since 2003 as a result. Other than a two-out single by Max Hooper in the top of the first inning from Trimble, Dakota Dodds proved to be nearly untouchable as the sophomore retired 16 of the next 17 batters that the ace faced on the day. 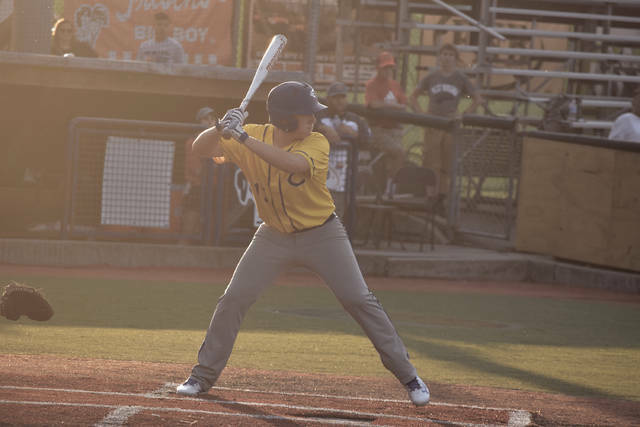 In fact, the only hit during that stretch, which lasted from the end of the first inning to the end of the sixth, was a double by Cameron Kittle that took a wild bounce off of the pitcher’s mound, went abruptly to the left, and sailed into the shallow grass out in left field. But on the other side of the coin, Clay, other than a two-out single from Reece Whitley in the bottom of the second inning of action, had a difficult time figuring out the deceptive speed of Max Hooper — until the fourth inning of play. With the lineup back to the top of the order, Woods gave Clay the spark it needed from the top of the order as the leadoff hitter led off the bottom of the frame with a ringing double down the left field line. While a flyout to right field by Keith Cottle ultimately had a bit too much mustard on it to advance the freshman to third, Woods was able to advance a base regardless after a balk was called on Hooper. Jessee’s slow-rolling 5-3 grounder, along with a low throw to the first base bag, was enough to allow Woods to slide in safely as the Panthers continued to show their effectiveness in manufacturing runs across the entire season on that simple grounder. While Clay ultimately threatened to add additional runs in the bottom half of the sixth inning — thanks to singles from Cottle and Jessee — the Panthers couldn’t add to their lead as a well-tagged ball by Bradley McCleese was hit right to Gary Brooks in left field as Clay had to settle for the 1-0 lead heading into the seventh and final frame. Trimble, however, didn’t go down without making Clay sweat bullets. In the top half of the seventh frame, a leadoff error on an infield shot by Hooper and a slow-rolling infield single by Noah Rossitter allowed the Tomcats to put runners on first and second with nobody out. 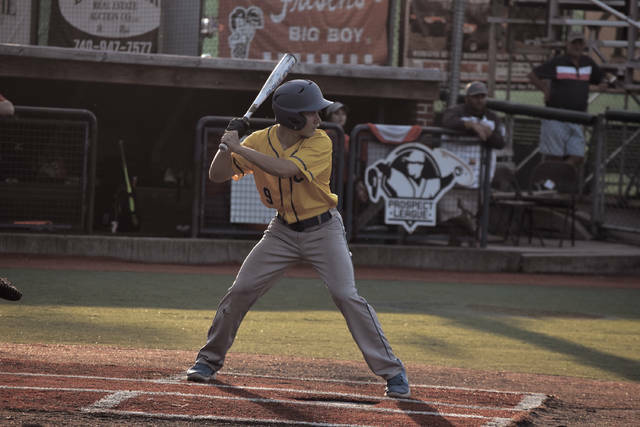 Dodds caught Tyler Roback looking and an innocent three-unassisted groundout by Gary Brooks put the Panthers within an out away from victory, but a two-out walk to Jack Nagucki loaded the bases. With a hit or an out determining the outcome of the game either way, Cottle visited the mound to see where his young standout stood on the mound. The look that he saw in Dodds’ eyes, however, affirmed to Cottle that leaving the multi-sport standout in the contest, and putting the balance of the affair in his hands, was the right decision. In the pressure-cooker, Dodds, who stayed in the contest through it all, got third baseman Todd Wisor to ground into a 6-4 forceout to close the deal. For the contest, Dodds’ complete game effort was dovetailed by the efforts of Woods (1-for-3, double, run scored) and Jessee (1-for-3, RBI). Keith Cottle (1-for-3), and Reece Whitley (1-for-3) also made dents in the hit column, while Dodds helped his own cause by also going 1-for-3 at the plate. Trimble was led by Cameron Kittle (1-for-3, double) and Max Hooper (1-for-3, stolen base) on the evening. Hooper threw a complete game five-hitter and struck out two in the loss. With the victory, Clay (19-6) not only advanced to the district finals for the first time since 2003, but ended long heartbreak in doing so. The Panthers had fallen in the Division IV District Semifinals in 2004, 2006, 2010, and 2017 — the latter two of which came by a run each — before Monday evening’s triumph. Back in 2003, Clay defeated Waterford, 4-1, to win the Division IV, Wellston District Championship en route to advancing to the Division IV, Region 15 Tournament in Lancaster, but much like its last district final victory 15 years prior, the opponent, Reedsville Eastern (Eastern Meigs) — who defeated Leesburg Fairfield by a 4-0 tally — will be a challenge.